The Comete Freedom Trail was inaugurated to commemorate the many helpers of the Comete Line from Belgium, France and Spain who assisted Allied escapers and evaders and other fugitives to escape from occupied Europe, then continue on their way to London via Gibraltar. The Comete Line was founded in Brussels where it had most of its safe-houses and became a collaboration between ‘helpers’ from three countries – Belgium, France and Spain. The evaders who travelled along the Line were mainly aircrew of about twenty different nationalities. The line was ‘blown’ a number of times but always regrouped with new members. The route from Brussels was mainly by train, via Paris, to the SW Pyrenees and the Basque Country. Once in the Basque country the evaders were moved quickly. On arrival at Bayonne or St Jean de Luz they were given food and drink and then waited until dark when they were moved quickly into the hills. 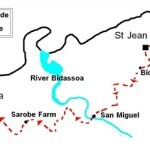 The River Bidassoa was the border between France and Spain and all crossings were carried out at night, often in hostile weather conditions, despite border guards on both sides of the river. The ‘helpers’ treated evaders’ injuries and provided food and clothing, couriers, guides and safe-houses when needed. The ‘helpers’ of the line paid a high cost for their allegiance to Comete. Many were captured, tortured, and executed. Others simply ‘disappeared’ into the concentration camp system of the Third Reich. The Comete Freedom Trail is dedicated to the ‘helpers’ of all nationalities who ensured by their actions that the Comete escape line route remained open throughout WW2. Various teams walk The Comete Freedom Trail throughout the year but the main Commemorative event is held annually in September. The walking part of the event takes place over two days; the distance is approximately 26 miles from the start at St Jean de Luz in France to San Sebastian in Spain. Different finishing points are used, dependent upon the requirements of the walkers and the organisers. The day immediately prior to the walk and the day following the walk are allocated to memorial events and services in the locality. 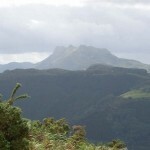 All walkers on this event must ensure that they are capable of undertaking an arduous walk over hilly and rugged terrain often in high temperatures. Participants, especially family members of former evaders, should be aware that the route followed by this trail is known as ‘The St Jean de Luz Passage’ and that there were at least a further four Comete routes in the area that were used at various times. The commemorative St Jean de Luz route is intended to be representative of all those routes used by Comete. Friday – Walkers and veterans join the programme of Les Amis Comete. At 1045hrs, all participants gather at the St Jean de Luz War Memorial for a wreath laying ceremony. Members later gather at Bayonne Cemetery to lay tributes on the grave of ‘helpers’ Edouard and Cyprienne Dassie. There is also a visit to pay respects at the Villa Voisin, the safe-house ran by the Belgian de Greef family. 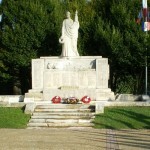 A memorial service is held at the Anglet War Memorial at 1730hrs, followed by a reception. Return to St Jean de Luz is at about 2200hrs. Sunday – At 0700hrs walkers meet at St Jean de Luz Railway Station to board the bus returning them to the River Bidassoa to continue the trail. The walk resumes at approximately 0800hrs continuing to Sarobe Farm, the first safe-house in Spain, arriving at approximately 1230hrs. There is a short stop at Sarobe Farm, then the route continues to Renteria and the finishing point at a Cider Restaurant at about1500hrs. Transport returns to St Jean de Luz at 1830hrs.